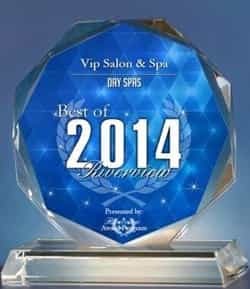 VIP Salon and Spa invites you to relax and enjoy the innovative process to make you look and feel beautiful. Our highly experienced hair designers work with your facial features and hair texture to give you a fresh look. Each of our hair designers receives ongoing education and trend updates to ensure that every client experiences absolute hair satisfaction! We believe in superior hair care education and techniques to enhance your hair's health. We'll also show you how to achieve and maintain your salon look at home. You can purchase exclusive hair care products from our salon boutique. From the first visit into our salon, our clients receive attentive and friendly service from all of our nail technicians. We use only the latest technology and innovative products available in the nail care industry to make you look your best. From manicures to nail repair, our nail salon offers comprehensive services and Sealy Posturepedic massage chairs for the ultimate relaxation. Our boutique is filled with exclusive beauty and hair products that represent the latest and greatest in today's beauty industry. One of the exclusive products we have been recently granted to carry, is our new MOROCCAN OIL Body products line. This product line is absolutely something you just have to experience for yourself. It also makes the perfect GREAT gift idea! Ready for your V.I.P Salon & Spa Experience? Call our salon today at (734) 250-9081 to schedule your appointment. We currently service customers throughout Taylor, Trenton, Lincoln Park, and the Detroit metro area.